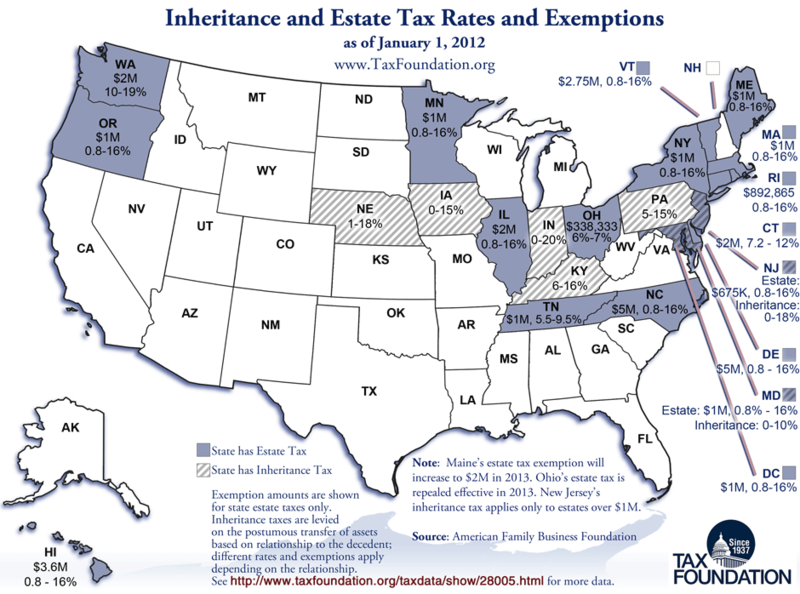 Today’s Monday Map shows inheritance and estate tax rates and exemptions as of January 1, 2012. Estate taxes are levied on the estate itself prior to transfer; inheritance taxes are levied on the transfer of wealth based on the recipient’s relationship to the decendent. New Jersey and Maryland are notable for having both an estate tax and an inheritance tax.